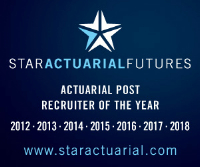 An excellent opportunity for an articulate and pro-active actuarial student to join a strong Lloyd's/London Market Reserving team in London. You will be a key team member assisting the reserving team achieve its goals, predominately across motor lines of business. Ideally you will have 1-3 years Reserving experience and be making strong progress through the exams. The team are keen for this individual to take on early responsibility and develop within the role. The ideal candidate will have excellent academics, strong communication skills and have some motor experience however the client will consider strong candidates from other backgrounds. Those from personal lines background with motor experience are encouraged to apply.